Love, Mrs. Mommy: Octer Is Going To Be Your Favorite Go-To Shopping Site! Octer Is Going To Be Your Favorite Go-To Shopping Site! Whether you are shopping for a birthday, special occasion, or holiday, wouldn’t you like to make this as easy as possible on yourself? I know I would! Every month it seems I am searching for the perfect gift for someone, and it takes me forever! Sometimes I have a general idea of what I would like to get, and other times I have no clue at all. I just wait for that elusive perfect item to pop out at me and say… “Me, get me!” Well, my friends, I have found something to help me out and if you are at all like me, you are going to love it too! Welcome, Octer… to my favorites list! 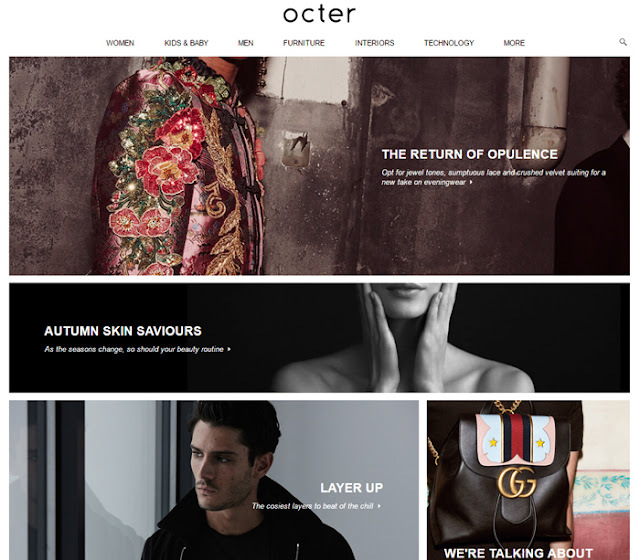 Octer launched in December of 2014 as a mobile shopping application and has expanded to become a multi-channel platform! Now, you can search hundreds of stores and thousands of brands from a wide range of retailers (even designer brands!) on your mobile, tablet, and desktop computer! Love it! An amazing feature of Octer is that you can compare their selection against other retailers, which is great for comparing prices, styles and even the color of the item! I think this is genius! Plus, Octer only lists the top US stores, so you know you are getting a great product from a reputable seller! Their website is very user friendly as all their searchable products are broken down into 7 main categories. These include; Women, Kids & Baby, Men, Furniture, Interiors, Technology, and More. Not only that, but then there are sub-categories to help narrow down your search even more! Then, once your products are displayed, you can filter your search by price and even store! Once you find something you like, just click the image and it will take you right to the store that sells this product. Think of Octer as your all-in-one shopping portal. With the holidays right on our heels, I know my daughter is going to be getting a bunch of new toys. With that in mind, I definitely need a place to store all the toys she doesn’t play with on a daily basis. 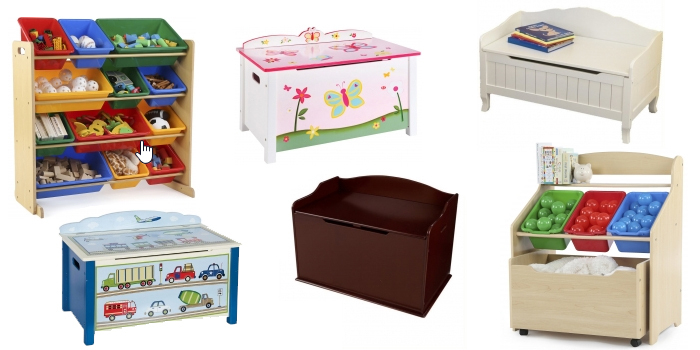 While browsing, I found so many wonderful options, including; classic style wooden toy boxes, as well as ones that are beautifully painted, toy organizers with bins and even ones with wheels! They are all so cute and any one of them would perfectly fit our needs! I really appreciate the time I have saved while shopping on their site. There’s no need to go from one website to the next to see what different brands have to offer. Plus, finding a variety of companies listed that I didn’t even think to check for toy boxes is wonderful! That’s the beauty of Octer. They bring brands straight to you, right to your fingertips! All you need to do is kick back and browse through their wonderful selections. Octer is definitely the way to go! Connect: Find out more about Octer by visiting their website. Then make sure you “like” them on Facebook and follow them on Twitter. Buy It: Click here to find what you have been looking for! These are great storage ideas. I have one of them. Thank you for the great ideas. We always need more storage. The toy box benches are so cute. I love them. I am always looking for new ways to save money. Storage is an issue at my house! Storage is always an issue at my house. These are some really good ideas. Oh my goodness! I absolutely love all those different storage options! There are a ton of different designs that I'm in love with! And the prices are affordable as well! I'd never heard of this site! thank you! Looks like a wonderful place to shop and grab some great deals, and I love great deals. I had never of them until now. Because the great information, I learned that of something new / exciting, it would be nice to own such a cabinet as the one seen on wheels w/ a bookshelf on the top!As it would serve as a nice storage area for important items - that is till I can afford / win in contest or sweepstakes shelving! Great deals at prices that other's are sure to enjoy! The toy chest/box benches are amazing!! I would love one of these. Love this site. Thanks for sharing it with us. These would be adorable in my little girls room. Thank you for sharing this. I haven't heard about this site before. I will use it and save time. Things like this help me so much. Thank you for all the great information about what the app does. I hadn't heard about this site, Thanks for the heads up! Something like this is sure helpful when trying to find gifts. I've been known to troll 4 & 5 shopping sites looking for a certain item. This is my first time hearing about this site, love finding new places to get those things we need or gifts. What a great brand to help save some money on, yet get the services you need. Theee are so many good shopping sites out there that I can't keep up!! I love saving money since I am on S.S. and have 15 grandkids! I am disabled so I do have time to look, but I don't want it to take hours! I appreciate your hard work! I rely a lot by word of mouth! OCTER is next!